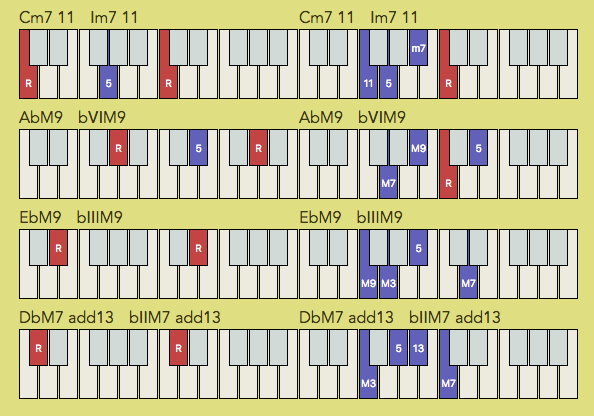 The following figure shows a chord progression of Robert Glasper’s “Afro Blue”. In original key, this tune starts with Cm11 omitting minor 3rd of the chord. With that, ordinary minor tonic chord has be changed to modern harmony, which can be obtained by obfuscating tonality. As is well known, the third note of each chord define the function of it. Before going into details any further, I point out the importance of Pentatonic scale in Neo-soul.